I had the opportunity to visit Bally's Hotel and Casino over the weekend. Back when I was younger Bally's was then known as the MGM Grand Hotel. This is not to be confused with the new MGM Grand on the corner of Tropicana and Las Vegas Blvd. South. The original MGM Grand Hotel was built by Kirk Kerkorian, who at the time owned the famed MGM movie studio, film library and the name. The hotel was modeled after the MGM movie, "Grand Hotel" starring Greta Garbo, John Barrymore and Joan Crawford. 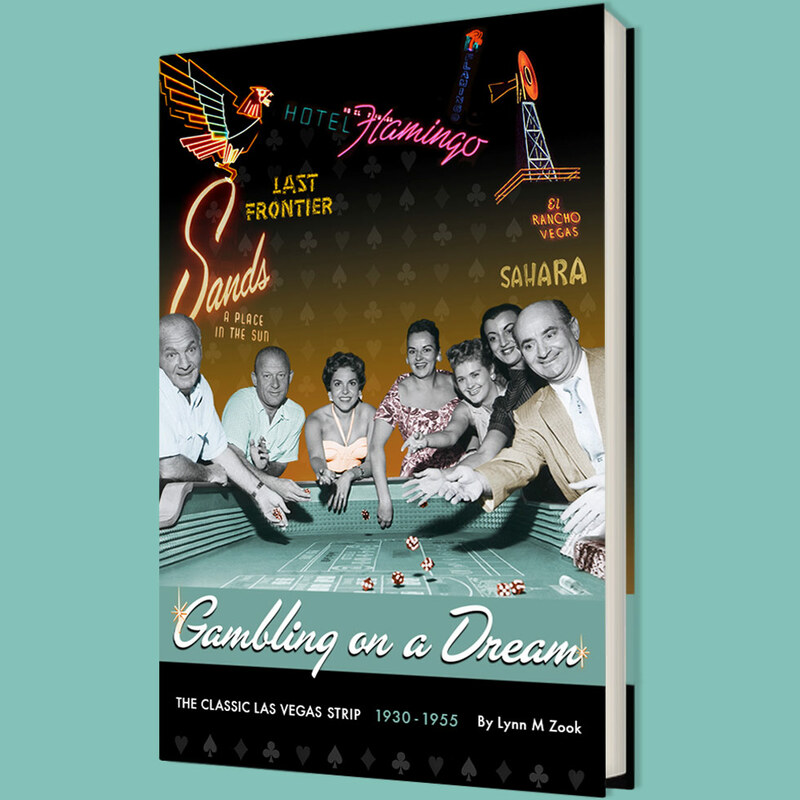 The hotel sought to bring a new elegance to the famed Las Vegas Strip. We watched it being built and read the newspaper articles and the gossip magazines of the day for any information we could get. Being big classic-era film buffs, we were delighted to have a slice of old-style Hollywood in our backyard. The hotel opened on December 5th, 1973. Classic era stars such as Cary Grant, Ann Miller, Gregory Peck, Van Johnson and many more were there that opening weekend emphasizing the glamour and glitz not only of Hollywood but of the resort. The hotel lived up to its hype of elegance. It was the largest hotel in the world when it opened and it held that title for years after. It also definitely raised the bar of luxury in Las Vegas. Everyone dressed to the nines to go to the MGM Grand. The front exterior was landscaped and as you approached from turning in off of Las Vegas Blvd, a giant statue of Zeus standing in the middle of a fountain greeted you. Directly behind him was the porte-cochere. If you drove in from the Flamingo entrance, you drove right by the fountain. The bellmen and valets were impeccably dressed and the doormen were dressed in grey waistcoats and wore top hats that could collapse and open with a strong flick of the wrist. Inside, the hotel registration desk was to your immediate left. The Celebrity Showroom was on the right. Dean Martin opened the hotel and over the next seven years everyone who was a top name in entertainment would grace the showroom. Like the other hotels, there was the dinner show with seating beginning at 6:00 so that the majority of dinners would be finishing their dessert when the opening act took the stage and all the dishes would be gone by the time the main act hit the stage. The Late Show usually offered a slightly more adult show along with a two drink minimum. Further down that side of the casino was the Ziegfield Stage which showcased Donn Arden's most extravagant showgirl spectacular to date "Hallelujah Hollywood!" an ode not just to Hollywood but Arden's most famous set pieces including the sinking of the Titanic. As you entered you stepped down into the casino. Unlike the casinos of today that are filled to every nook and cranny with gaming machines, the MGM Grand seemed spacious despite the fact that it was the largest casino in the world.. And quiet. There was plenty of gaming going on but the noise levels (except when someone would win at the slot machines) were subdued compared to today. Giant chandeliers hung through-out the casino. The walls were adorned with oil paintings of famous MGM film characters such as Gigi, Scarlett O'Hara, Rhett Butler, An American in Paris. Towards the back of the casino were the restaurants: Barrymores, Tracey's, Gigi's were all high end eateries. Tracey's was a steak-house, Barrymore's offered American gourmet food. Cafe Gigi offered French food, the Orleans Room was the coffee shop and the Stage Deli was in the back corner. If you followed the walkway to the left down a long corridor to the ballrooms, there were long glass cabinets that displayed make-up masks of the stars. These white masks were nestled in red velvet and each one had a plaque on the front identifying whose face you were looking at. On the walls were large black and white pictures of some of the stars. At the back of the casino was an escalator that took you downstairs to the shopping area. This was one of the most elite shopping promenades in its day with high end jewelers, Marshall-Rousso, Dicker and Dicker of Beverly Hills, an art gallery and more. There were large props from MGM films that hadn't been auctioned off a few years earlier in the infamous auction that heralded the end of the greatest American movie studio ever. At the end of the shopping promenade was a 300 seat movie theater. The facade was on old-fashioned movie theater complete with marquee. There were steps leading down and on the right was the ticket booth. Around the corner from the ticket booth was a small concession area with popcorn, soft drinks and a bar. Once you stepped into the theater auditorium, you were surrounded by blue leather, plush love seats and couches. In front of each one was a small table with a red button. You could press that button while watching the movie and a leggy cocktail waitress would come and take your order. If you were under 18, you would order soft drinks. If over 18, you could order stronger drinks. The bill changed every week and offered some of the best from the MGM studio vaults and film library. Beautiful studio prints of "Gone With the Wind", "Andy Hardy", "Strange Cargo", "Meet Me in St. Louis", "The Wizard of Oz" and hundreds more. For the admission price of $2.50, you got a cartoon, a newsreel and the main movie. You also received a printed program listing the stars and short synopsis of the film. Almost directly across from the theater was the Movie Memorabilia shop. It was filled with one-sheets, posters, lobby cards, anything and everything that merchandised old Hollywood films and the stars. Throughout the store were costumes from famous MGM movies including "Gone With the Wind" and "Grand Hotel". There was a Swenson's Ice Cream Parlor and an arcade filled with pinball machines and two air hockey games across from the theater. If you followed the hallway around it led out to the pool. You could park in the front but that was limited. The majority of us parked in the back behind the Jai-lot arena. I was reminded of all this as I walked through the hotel. The memories came flooding back. We saw Merv Griffin in an orange tuxedo ringing in the New Year in 1974 or 1975. We haunted the halls and corridors of the hotel looking for glimpses of the famous stars we adored, we put Salvo tablets (lots of them) in the fountain where Zeus stood and by the time we had driven around the block and come back, the fountain was filled with foam. As I sat in my room on the 24th floor (with a view of the University and the Airport), I was flipping through the in-room information notebook- you know the one: with listings for room services, spa services, etc. I had just finished reading the very short history of Jubilee! when I unwittingly turned the page and was hit with the page on Fire Alarms and Safety section. It took a minute as I whisked back in time to that November in 1980 when the hotel was on fire and people were rushing to get to safety from the roof, from their balconies, down stairways, any way possible. The fire had started in the Deli at the back of the casino and the fireball roared across the casino and up the vertical shafts. Fueled by PCV piping, glue, plastics and other materials, the fire turned smoke into toxic, poisonous smoke that reached throughout the hotel and up to the uppermost floors. Every fire station and crew in town responded to the fire, the biggest disaster on the Strip till then. Jolly Green Giant helicopters from Nellis Air Force base responded to help pluck survivors off the roof. In the end, 87 people lost their lives that day in the fire. In the aftermath, there was talk of changing the fire codes for hotels but it wasn't until a fire broke out a few months later at the International Hotel, that the talk serious. 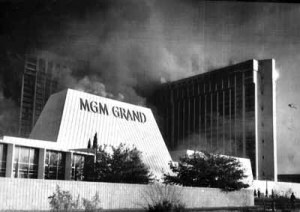 Because of the MGM fire, fire codes for hotels throughout the United States were rewritten to make hotels not only safer but to make it safer for guests to evacuate as well. It seemed ironic looking at that section of the notebook but I had to be grateful for the information on those pages that could safe lives. Kerkorian rebuilt the hotel in about eight months but it was never really the same after that. I have always preferred to remember the MGM Hotel that I knew from my teenage years but a walk through Bally's reminded me again of just how much I had loved that wonderful, elegant hotel.